LAS VEGAS, Jan. 30, 2019 /PRNewswire/ -- Scientific Games Corporation (NASDAQ: SGMS) ("Scientific Games" or the "Company") announced, in partnership with Carnival Corporation and Princess Cruises, that they awarded the grand prize of $100,000 in the MONOPOLY Cruise for Cash promotion. The winner, a lucky VIP player from Holland Casinos, was one of more than 400 players in the grand finale slot tournament which took place onboard Regal Princess in December. Another $100,000 in cash and free play in the ship's casino was shared among the top 40 finalists. Celebrating a 20-year relationship with Hasbro and the MONOPOLY brand, Scientific Games collaborated with Carnival Corporation and its premium line, Princess Cruises, to develop a nearly year-long promotion that included participants from more than 60 land-based, cruise, and online casinos, along with winners from a local Las Vegas television station promotion. Select VIP players were awarded certificates for a free cruise and a seat in the Grand Finale $200,000 MONOPOLY Cruise for Cash slot tournament. "We were extremely pleased by the response to the MONOPOLY Cruise for Cash event onboard Regal Princess," said Anil Mansukhani, Vice President of Onboard Revenue and Business Development. "With Scientific Games we were able to introduce a new group of players to our iconic premium cruise line and offer all of the tournament participants a very energetic and fun-filled series of events throughout the cruise including the largest slot tournament ever hosted by Princess Cruises." 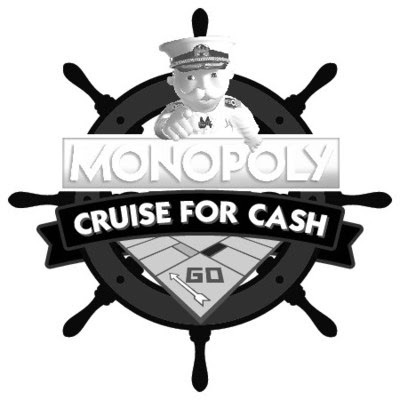 "The MONOPOLY Cruise for Cash promotion aboard the Princess Cruise line introduced hundreds of players to a unique way to engage with the classic brand," added Mark Blecher, SVP of Corporate Strategy and Business Affairs at Hasbro. "We're thrilled to have worked alongside Scientific Games to bring this tournament to life and are excited for what's ahead for MONOPOLY fans at sea." To continue the momentum and the success of the inaugural MONOPOLY Cruise for Cash, Scientific Games, Carnival Corporation and Princess Cruises are planning a large-scale promotion based on the MONOPOLY brand for 2019, which will culminate with a grand finale event aboard the Royal Princess on November 16, 2019. More details will be released in the spring of 2019. "The MONOPOLY Cruise for Cash promotion was the largest promotion of this type that Scientific Games has ever embarked on and we are thrilled that it was a smashing success!" said Bob Parente, Senior VP and Chief Revenue Officer for Scientific Games. "With so many of our casino customers participating, this promotion brought exposure of our successful library of MONOPOLY slot and gaming products to players all over the world." MONOPOLY is a trademark of Hasbro. Used with permission. ©2019 Hasbro. All rights reserved. Hasbro (NASDAQ: HAS) is a global play and entertainment company committed to Creating the World's Best Play Experiences. From toys and games to television, movies, digital gaming and consumer products, Hasbro offers a variety of ways for audiences to experience its iconic brands, including NERF, MY LITTLE PONY, TRANSFORMERS, PLAY-DOH, MONOPOLY, BABY ALIVE and MAGIC: THE GATHERING, as well as premier partner brands. Through its entertainment labels, Allspark Pictures and Allspark Animation, the Company is building its brands globally through great storytelling and content on all screens. Hasbro is committed to making the world a better place for children and their families through corporate social responsibility and philanthropy. Hasbro ranked No. 5 on the 2018 100 Best Corporate Citizens list by CR Magazine, and has been named one of the World's Most Ethical Companies® by Ethisphere Institute for the past seven years. Learn more at www.hasbro.com, and follow us on Twitter (@Hasbro) and Instagram (@Hasbro). Scientific Games Corporation (NASDAQ: SGMS) is a world leader in entertainment offering dynamic games, systems and services for casino, lottery, social gaming, online gaming and sports betting. Scientific Games offers the industry's broadest and most integrated portfolio of game content, advanced systems, cutting-edge platforms and professional services. Committed to responsible gaming, Scientific Games delivers what customers and players value most: trusted security, engaging entertainment content, operating efficiencies and innovative technology. For more information, please visit scientificgames.com. One of the best-known names in cruising, Princess Cruises is a global premium cruise line and tour company operating a fleet of 17 modern cruise ships, carrying two million guests each year to more than 360 destinations around the globe, including the Caribbean, Alaska, Panama Canal, Mexican Riviera, Europe, South America, Australia/New Zealand, the South Pacific, Hawaii, Asia, Canada/New England and World Cruises. A team of professional destination experts has created more than 150 award-winning itineraries, ranging in length from three to 111 days and Princess Cruises has been continuously recognized as "Best Cruise Line for Itineraries." Princess Cruises continues its multi-year, "Come Back New Promise" – a $450 million-dollar product innovation and cruise ship renovation campaign that will continue to enhance the line's onboard guest experience. These enhancements result in more moments of awe, lifetime memories and meaningful stories for guests to share from their cruise vacation. The product innovations include partnerships with award-winning Chef Curtis Stone; engaging entertainment inspired shows with Broadway-legend Stephen Schwartz; immersive activities for the whole family from Discovery and Animal Planet that include exclusive shore excursion to onboard activities; the ultimate sleep at sea with the award-winning Princess Luxury Bed and much more.